The trajectory of Alexander Hamilton’s life could most accurately be explained by one ever-present characteristic: he lived with an intense bent towards initiative. Throughout Hamilton’s life, his determination to take action relentlessly propelled him forward. In the song, “My Shot,” from Lin-Manuel Miranda’s hit musical Hamilton, Miranda captures what could have been Hamilton’s life mantra. Whether serving as George Washington’s chief of staff during the Revolutionary War, leading the attack that would end with the surrender of the British at the Battle of Yorktown, or creating a new central government in the early Republic, Hamilton’s initiative was constantly on display for all to see. Initiative is one of the most important tools a leader possesses. A leader must constantly push progress and momentum forward. Hamilton embodies this characteristic, and he offers us several lessons for living with a bent towards initiative in our lives. Resistance discourages, deceives, and defeats us when we give into its negativity and hopelessness. How many of our goals and initiatives are defeated in our hearts and minds before we even begin? “Why try?” we ask ourselves. “It’s probably not going to work anyway.” Hamilton expected this resistance, faced it head on, and refused to allow it to keep him from charging into his calling. Acknowledged the power of initiative and the cost of inactivity. Hamilton, throughout his life, displays for us the power and impact of initiative. His antagonist in Miranda’s musical, Aaron Burr, seemed to live with a bent towards hesitation, or a lack of activity. So often our success in life depends on this critical choice: will we charge forward and take initiative or will we hang back and do nothing? Hamilton’s strategy to establish a new Constitution revolved around an ambitious writing project called the Federalist Papers. Hamilton wrote fifty-one essays in the span of seven months to convince his fellow countrymen of the wisdom and necessity of a strong central government. Hamilton understood the power of communication, and its central role in any initiative project. One of the most important battles in the Revolutionary War was the Battle of Trenton. 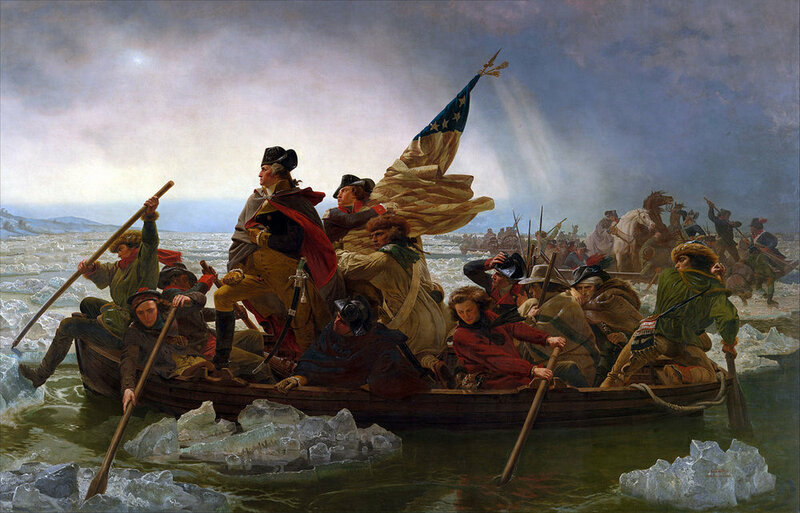 Early in the morning on Christmas Day, 1776, George Washington ordered his army to cross the Delaware River to attempt a desperately needed victory against the enemy. Hamilton almost missed the battle as he lay sick in bed that morning with a raging fever. But when he heard of the attack, he willed himself out of bed and into the action. He couldn’t stomach the idea of missing the battle. Initiative oftentimes is painful, costly, and requires great sacrifice. Will you dig deep and give what it takes in the moment of action? Believe that when you move, God moves with you. Hamilton lived with a deep faith in God and a belief in His providence. He believed that when he took initiative, God was right there with him. When we live with this faith, we find the courage we desperately need to charge forward and take initiative. Subscribe and I'll send you a free chapter from my upcoming book, God and Hamilton!